A COUPLE have been devastated after dozens of hunting hounds savaged and killed their family pet. 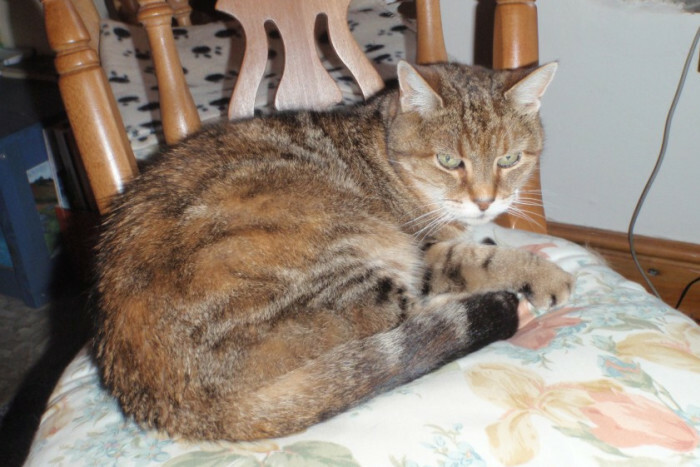 Elderly tabby Moppet, aged 18, was outside her home in Stoupe Brow, near Ravenscar, when 27 hunting dogs bounded onto land belonging to her owners Les and Margaret Atkinson. The dogs brutally attacked the cat before a huntsman picked up a lifeless and bloodied Moppet and rode away. 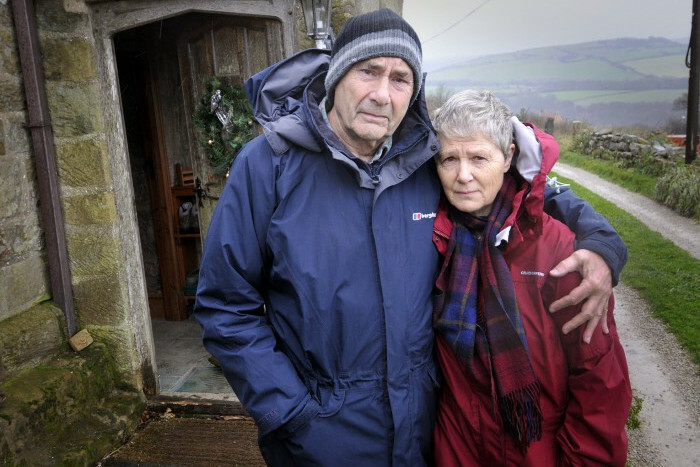 Les and Margaret Atkinson remember their cat Moppet who was savaged by hounds from a hunt, outside their property in Stoupe Brow. Hours later members of the hunt, which was a joint hunt between the Staintondale Hunt and Goathland Hunt held earlier this month, were confronted by the Atkinsons – and it was admitted that Moppet had been killed. Moppet’s body was returned to the Atkinsons by members of the hunt two days after she was killed and she has now been buried. A younger cat belonging to the Atkinsons, George, escaped the dogs by hiding in a stable. The couple then searched in vain for Moppet, with splashes of blood on the ground being the only trace of their beloved pet. When two huntsmen passed a few hours later, the Atkinsons asked whether they knew what had happened. She added: “It was horrific. She didn’t stand a chance. She was an old lady and it was not the way for an innocent animal to meet her end. Mr Atkinson said: “To be honest, we’ve spent a lot of time crying. She would curl up on our knees every night and would wake us up in the morning. I’m retired, so I would spend hours talking to her. Members of the hunt are allowed to pass through a bridle track on the Atkinsons’ land legally. In future the couple, who have eight grandchildren, will be given advance warnings of any hunts. Jean Clemmit, Staintondale hunt master, said: “I wasn’t there at the time, but as soon as I was aware of the incident I went to see the Atkinsons. She claimed that the cat’s death would have been reported to the Atkinsons and the body returned – even if the couple had not been aware of the incident. Bill Dobson, chairman of the Goathland hunt, also said that Moppet’s death had been “regrettable”. Scarborough RSPCA officer Geoff Edmond said he was “very concerned” after learning of the incident. The incident was reported to the police and although they investigated the matter a spokesperson said yesterday that no further action will be taken.